« New events coming shortly…. It has been wonderful to see photos of the newly completed water well, sent to us by the ONL Committee in Newton. 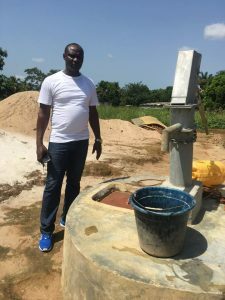 Mabinty Sesay, Treasurer of the Newton Committee, has confirmed that the well was being used by the local community as well as one of the schools. Completion had been hampered by the continuing rainy season which seemed to have lasted much longer than usual. However, we are so pleased that it’s now up and running – a very valuable resource.